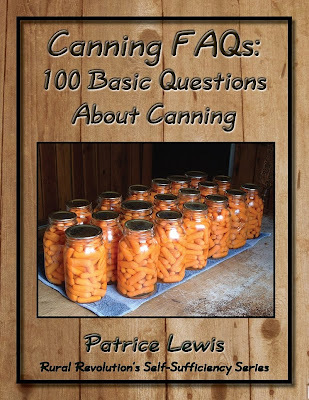 We are thiiiiissss close to having the ebooklets on canning available for sale. The booklets are done; what's been occupying Don's time is getting a separate website up and running through which they can be ordered. This meant setting up PayPal buttons, etc. -- altogether a complex process. I've also consolidated much of the advice I've given over the last couple of years on the subject of moving to the country into an ebook. All of these booklets are 8.5 x 11 in size, so you can print them if you wish (or just read them on the computer). The final step before opening the website is to have a friend use her credit card and purchase a copy of each booklet, to make sure the transactions go through without a hitch (and yes, we'll pay her back, LOL). Anyway, stand by... these will be available soon! Awesome! Can't wait to buy these suckers! Thanks! No need to post this... I just wanted to share my feedback. I really dislike the 'wooden' background you've chosen for your booklets. They are dark and do not convey an image of purity or cleanliness I'd want when thinking of food. I'd suggest a pic of a harvest, or fruit or anything in bloom. What you have is dark and unappealing. Yikes, I'm afraid it's too late to change it. While the change itself would be a simple matter, it would mean archiving an entirely new document, which is a complicated procedure. I'll keep this in mind for future booklets. I disagree! I think it adds to the charm and homey appeal. I have no intention of eating my canned goods off of a barn wood plank - or a computer generated image of such. If anyone can't tell the diff: Personal problem. I also disagree. The wood makes me think of a country cottage. A perfect setting to imagine myself in while learning more about "country arts". I like the background as well. If it were food, which food would it be? Then, you'd get someone who didn't like that particular food or the photo would not turn out right for background material. I respectfully argue that you keep the chosen background because it goes with the overall theme of "Rural Revolution" being the driving force behind publication. Keep it cohesive. It is neat, presentable and magnetic. As soon as we get moved, I am going to buy some of these for my own kitchen records. 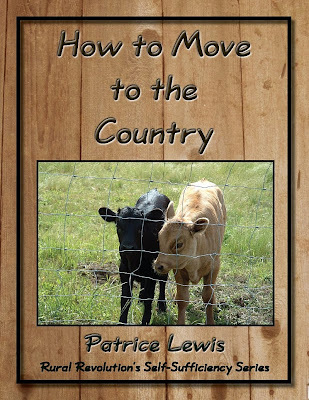 Hi Patrice, I purchases all of your e-books but can't seem to figure out how to download them. Are there links to these books that I missed somewhere? 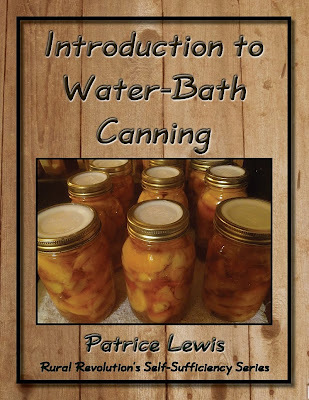 Becky, can you email me privately at patrice @ patricelewis dot com ? We'll get you taken care of. I was just wondering if there are any plans to sell more signed copies of the Simplicity Primer? I bought one from you when it first came out but, quite literally, my dog ate it. It was my fault for leaving it in dog range, I guess, but I've been wanting to get another one. Of course! The Christmas-y link at the top of the blog page still works (I guess we really ought to remove the holiday theme), so if you'd like to order a book, just clink on the link and follow the instructions. I have plenty of copies on hand and would be happy to sign one for you. Thanks for asking! Standing by...I want one of each for Sweet Wife...thanks. I'm waiting, too. 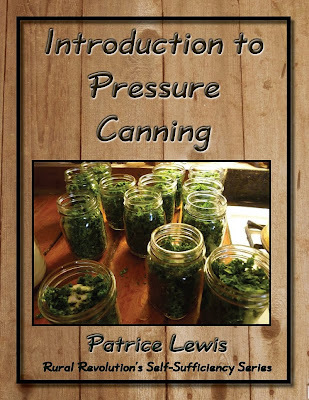 Just got a pressure canner for my birthday and am equal parts thrilled and terrified. Are you going to make a print version available? 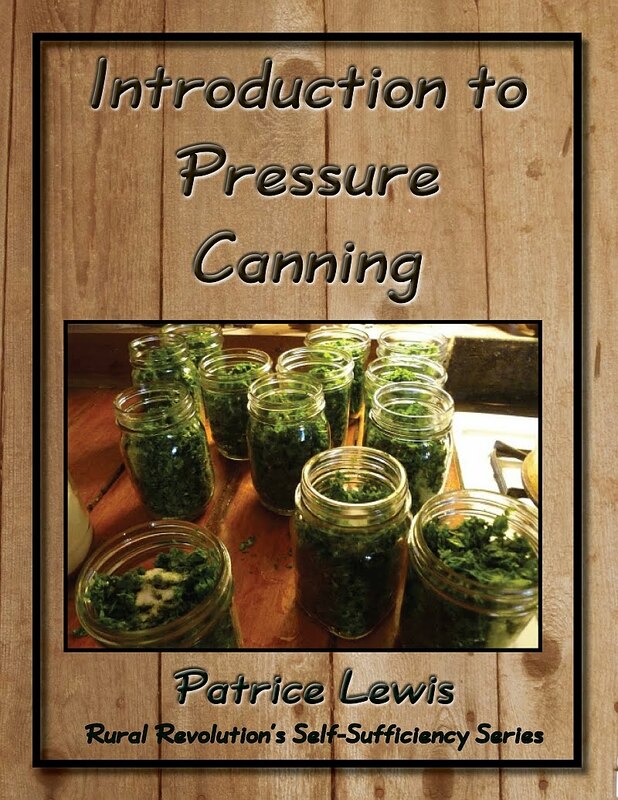 Looking forward to ordering your canning books!! 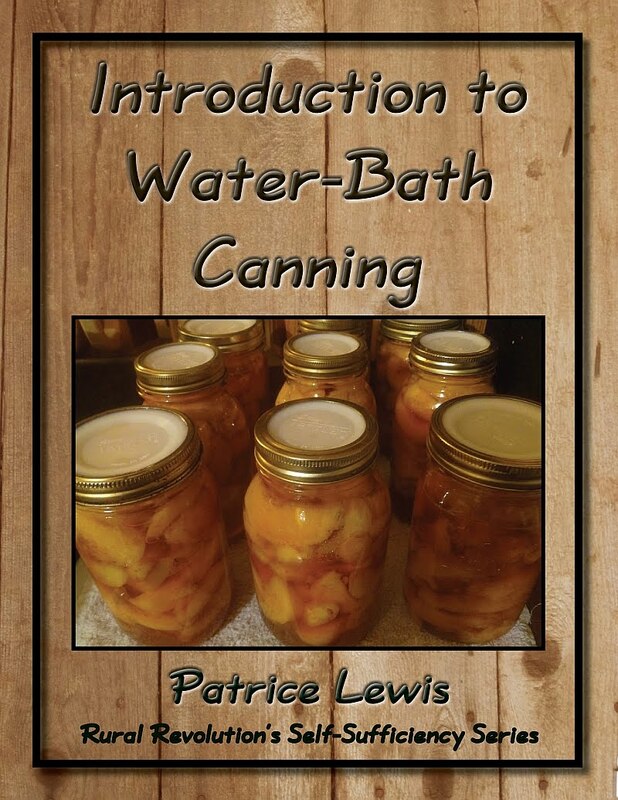 i like your booklets look, and have shared the info with my fb friends who want to learn more about preserving foods. Can't wait - hurry, hurry, hurry! Congrats on finishing your booklets, look forward to adding them to my ever expanding library! !